NowstaPay will send you an email notification every time your employer approves your worked hours daily. In those emails, you will have the option of Cashing Out your funds early. When you click the Cash Out button, you will be taken to a summary page where you will see the breakdown of your earnings. Once you have verified the amount is correct, you can click Confirm to initiate the transfer of your earnings. If you would like this process to occur automatically, click the “I would like to be paid immediately after every event” option in the Cash Out page. In the future, you will not have to click into the app and press the Confirm button each time to receiving your earnings. You, instead, will receive an email notification every time you are auto-paid with a detailed description of the transaction. 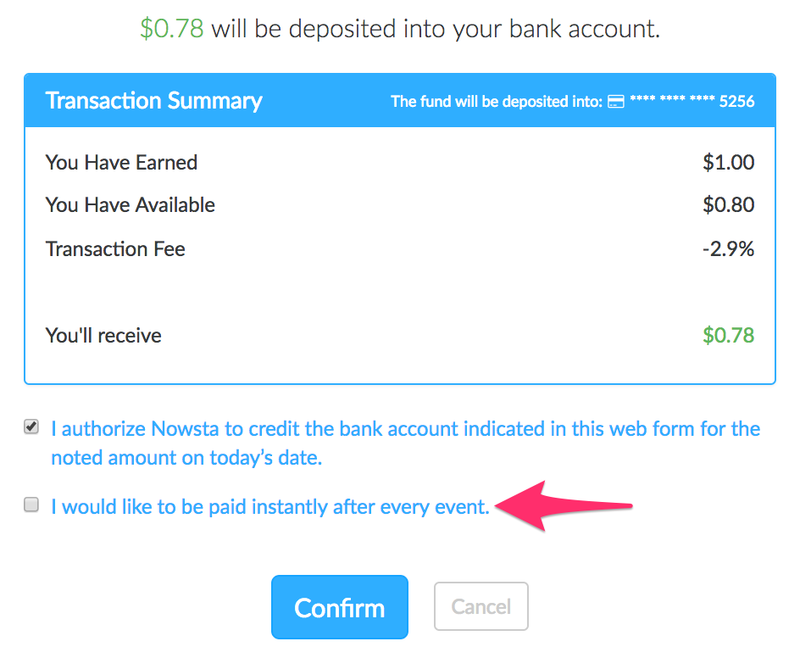 If you have any questions, you may contact us at support@nowsta.com.